The coastline between the Wild Coast and Durban is known simply as the South Coast. It’s a collection of laid-back seaside towns, golden beaches, lagoons, river mouths, rocky coves and inlets, sub-tropical forests and vegetation that’s prone to abundance. And all this is washed by the warm waters of the Indian Ocean. In fact some of our best places to stay on the South Coast lie within a stone’s throw of the beach. But not all is cane furniture, nautical theme duvet covers, and face brick maisonettes. We’ve guest houses, self-catering cottages and a series of beach holiday homes with a charm you’ll find difficult to refuse. 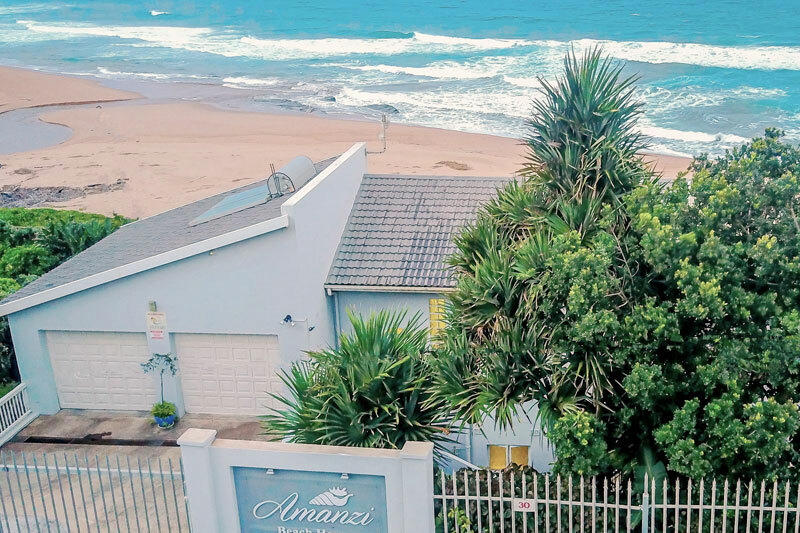 This elegantly decorated guesthouse is limited to four rooms with modern, poolside living overlooking the beach (quick downhill walk) in the quaint village of Ramsgate. We love this light and airy self-catering apartment with its stackable doors, three bedrooms and two bathrooms. It’s a perfect sea view getaway (100 metres to the beach). 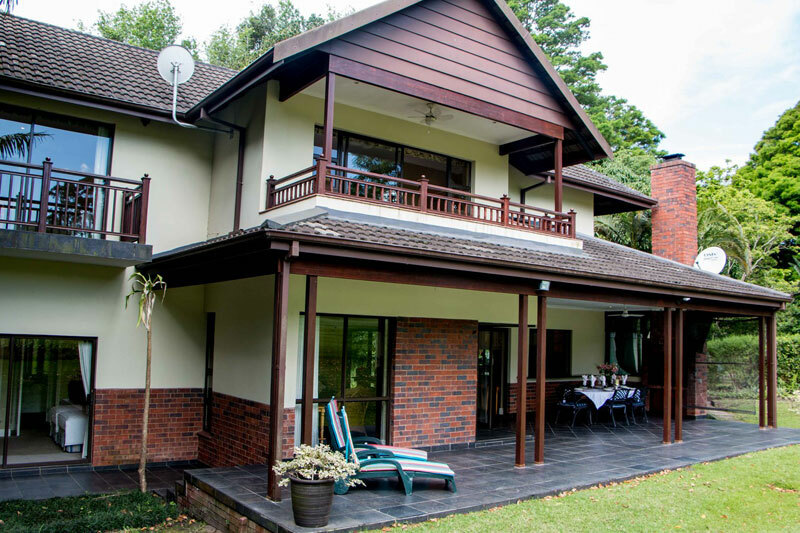 There’s something very appealing about this guest lodge just outside Port Shepstone. Perhaps it is the seclusion, the forest garden, its proximity to the beach, or the relaxed chalet décor. Next on our list of best places to stay on the South Coast, you’ll fall for this shuttered white villa with its navy blue front door and elegant yet understated décor. Its fully fitted kitchen and spacious open plan living makes self-catering a pleasure. 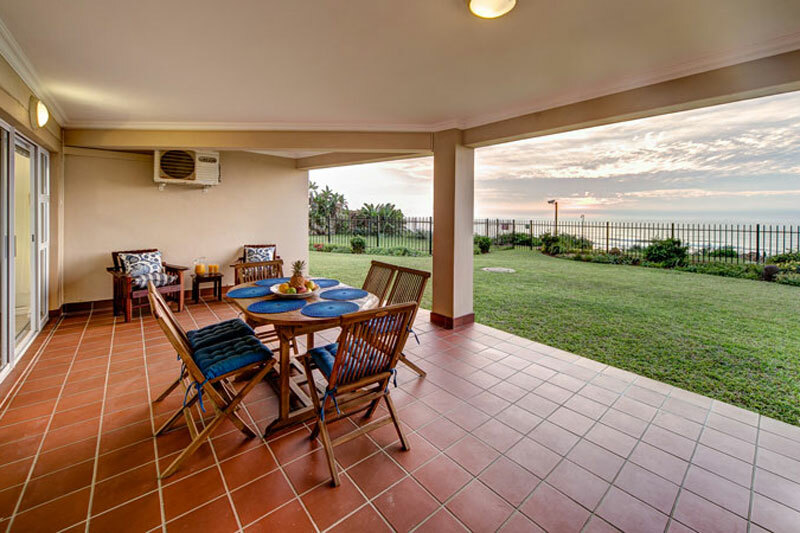 It’s the veranda and simple kitchen, unpretentious bedrooms, stackable bedroom doorway, and access to the beach that make this self-catering home so very attractive. 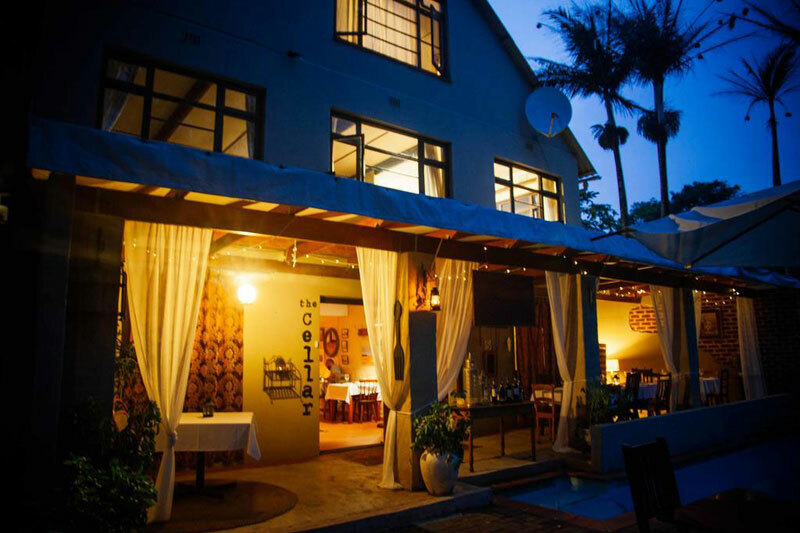 Right on the river estuary on the edge of the Wild Coast this country hotel in Port Edward does elegance with style, including its own restaurant and spa. Your own self-catered beachfront house with five bedrooms, 180 degree ocean views, a splash pool and deck, fully kitted kitchen and nothing between you and the sand dunes. 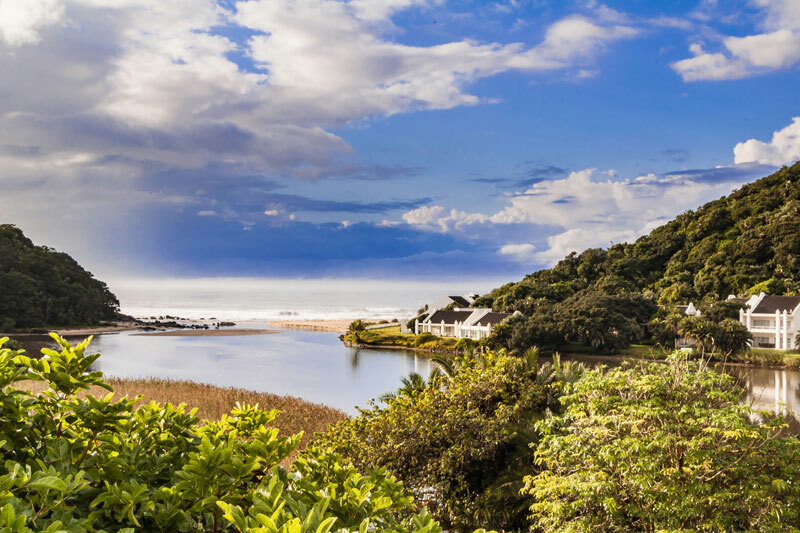 Story of an African Farm meets the Mzimkulwana River, and the lush wildness of this part of the coast, on this gorgeous guest farm with its three guest houses, within reach of three beaches. 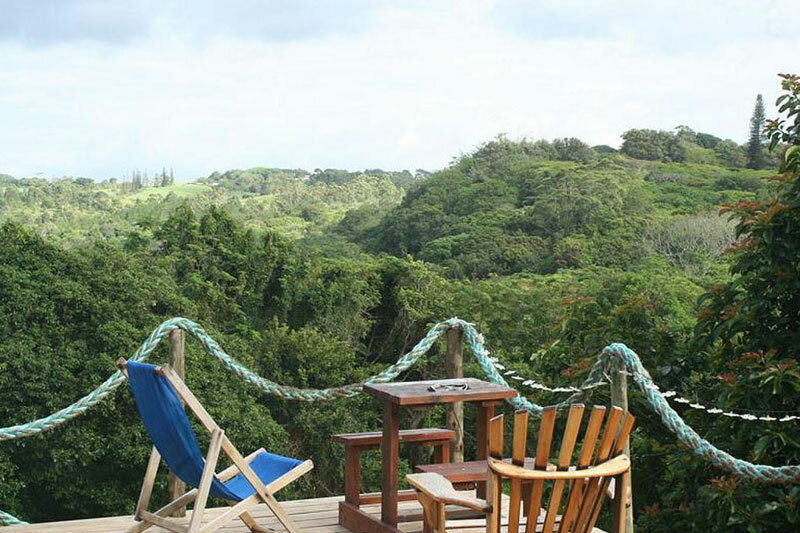 Set in amongst the leafy and treed surrounds of the Inn and the adjacent Umtamvuna Nature Reserve find six self-catering units. We particularly love Fish Eagle. Fun, sun, beach holidays, parties, five bedrooms, an open plan common area lounge, dining and kitchen, and on-your-doorstep sea views – what more can you ask from a surf n’ stay accommodation. It may be a backpacker venue but Pumula is small, exclusive and family run. Stay here if you’re interested in learning surfing, yoga or stand up boarding. 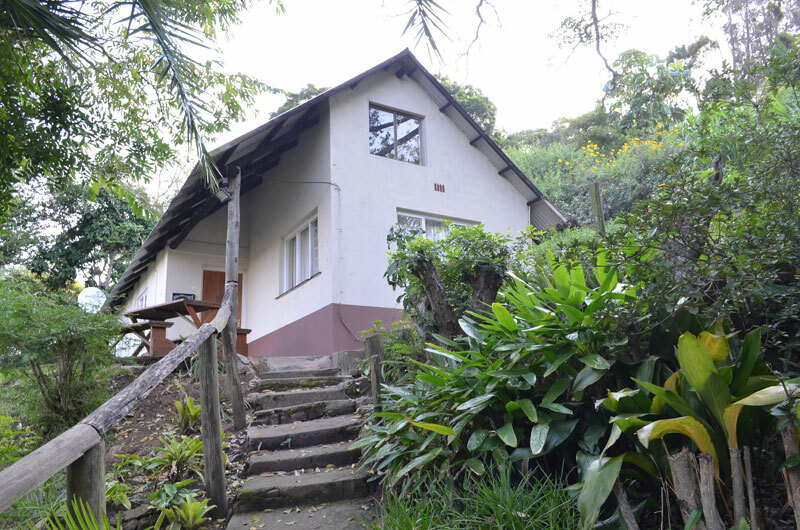 A charming two bedroom complex cottage within walking distance of the beach and lagoon for a typical South Coast stay. This spacious log home not only has sea views, is pet friendly, and ideal for family holidays but it’s also on a large, wooded private property with little to disturb you. 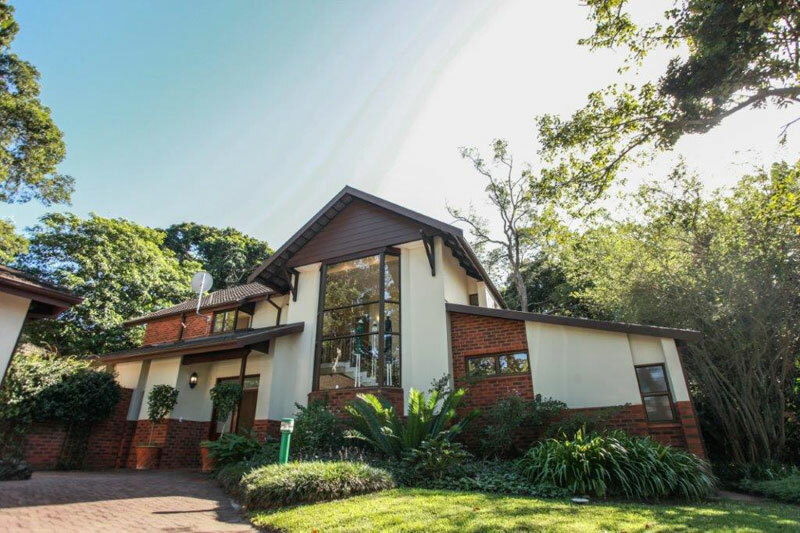 Hire this three bedroom double storey home with a veranda, in the leafy recesses of the Selborne park Golf Estate. A three bedroom, six guest, holiday apartment facing the sea with an open plan living kitchen area and folding doors onto a patio. Perfect. Head to this 15 acre lakeside retreat, the beach only five minutes’ away, and stay in one of two fully equipped tents, or a cottage. 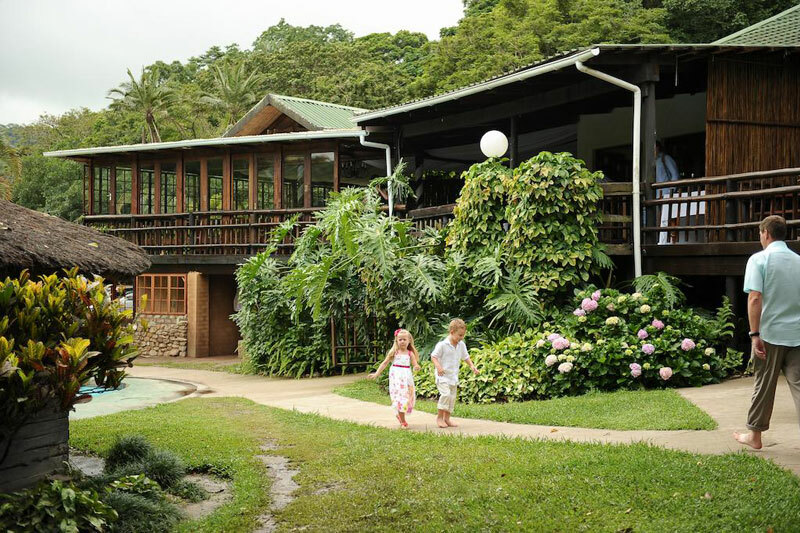 It’s the setting of this lodge that appeals and ensures its position on our list of best places to stay on the South Coast – in a nature reserve on the banks of the Umtamvuna River, a tropical garden and the sound of water and birds your companions. Six en suite double rooms each with their own entrance and private veranda with views of the golf fairway, this B&B gives you elegance, romance and a hint of colonial. This holiday seaside apartment emphasises ‘inside out’ living with its wonderful patio and sea views over an unspoiled four kilometre stretch of the coast. Easy to see why it makes our list of best places to stay on the South Coast. 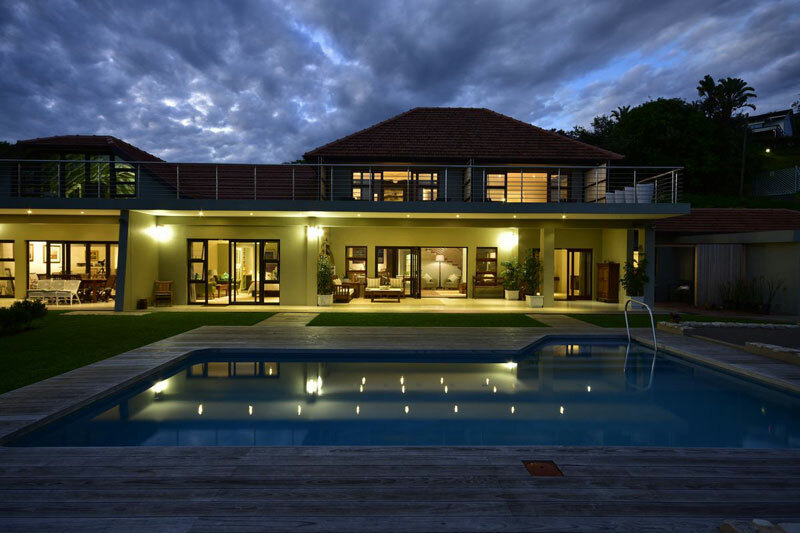 Hire this four bedroom holiday home with its private garden, lush indigenous forest surrounds and high glass windows. Comfort and peace for your family or friends. Spoil yourself and stay in one of the beautiful garden rooms, manor rooms at the top of a sweeping staircase, or the presidential suite with its nostalgic indulgence in dark wood furniture, in the Manor House.